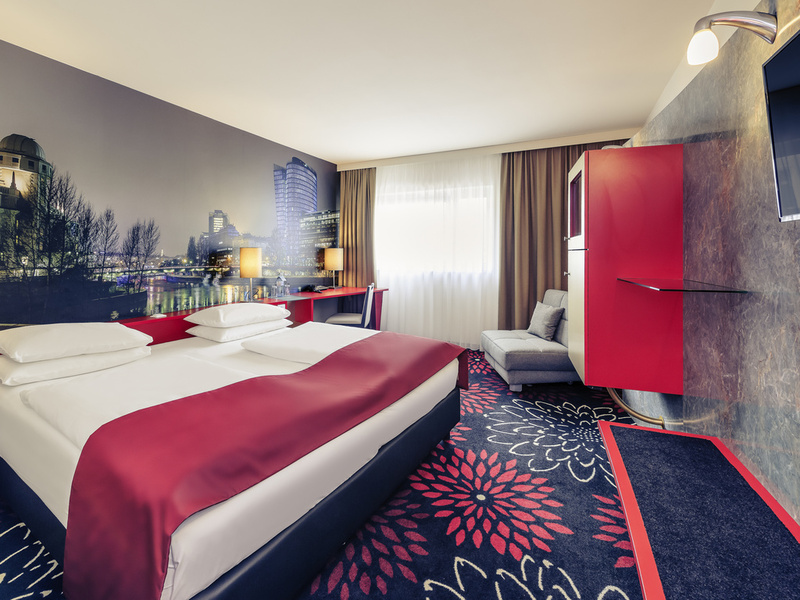 The Mercure Wien City is located in a quiet area only a short walk away from Vienna's bustling center, home to sights such as St. Stephen's Cathedral, Hofburg Palace or Prater park. The Danube Canal, found on the hotel's doorstep, is a gateway to rest and relaxation, be it walking, cycling or simply taking in the sun. Near to the convention center, UNO City and the Austria Center. Rooms were renovated in 2016, and the hotel's own undercover car park is ideal for ensuring a successful stay and arrival. There is plenty to see in Vienna: from magnificent baroque buildings to "golden" art nouveau architecture, over 100 museums and more than 27 castles!We give you the key to the city and will be happy to draw up your own personal Vienna tour guide! Something to suit every taste. Choose between our comfortable Standard Rooms, modern Superior Rooms and luxuriously appointed Privilege Rooms. Our state-of-the-art bar is open around the clock every day for connoisseurs and night owls. Guests can enjoy a wide range of beverages, including all the classics - so why not indulge and join us for a drink.